We are VERY happy to announce that two new scents are going on pre order today. We are introducing Citrus and Frigid. Citrus is already in our shampoo and liquid soaps. 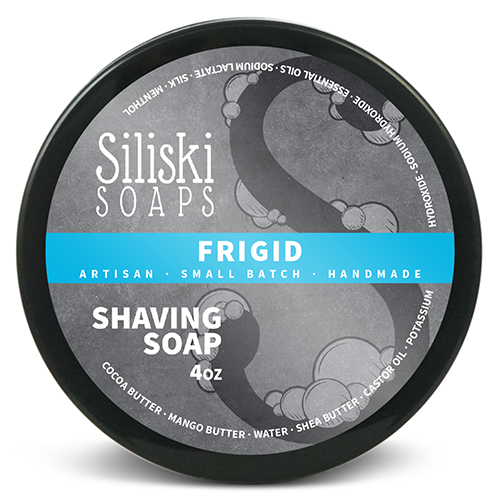 Frigid will stay with the shaving products only, but eucalyptus/peppermint will be available in bar soap without the added menthol. Citrus is a blend of lemon, lime, and grapefruit dancing above a base of blood orange. This is sweet, bright, and a house favorite. Frigid is Japanese peppermint coupled with herbaceous and slightly woodsy eucalyptus. Added menthol adds a wonderful cooling effect. Both products will ship with our tweaked recipe including cocoa, kokum, mango, shea, castor, jojoba, and stearic acid. Those scents sound wonderfully natural. Having very sensitive skin, I wish you offered an unscented version. Those look Great Andrew! Looking forward to using your soap. (05-31-2018, 05:44 AM)lloydrm Wrote: Those scents sound wonderfully natural. Good Idea. Since I am switching my label paper to vinyl now would be the time to offer an unscented. I will try to get the packaging ready for that as well and will let you know when it is ready. I'll be purchasing some of these soaps in short order. The labels look great Andrew! Thank you. They also have color coded runners so you can see what they are while stacked. Getting the right labels turned out to be quite difficult. We had to switch to vinyl paper as the other options kept chipping off the ink. (06-04-2018, 05:54 AM)asiliski Wrote: Thank you. They also have color coded runners so you can see what they are while stacked. Getting the right labels turned out to be quite difficult. We had to switch to vinyl paper as the other options kept chipping off the ink. They do look fantastic! We feel your pain on labeks Andrew! They have been the most stressful piece for us at times. I will look into shipping to the UK/Europe and get back to you. The issue is shipping cost. Unfortunately there will most likely be a one week delay in getting the Citrus and Frigid out. My supplier has moved warehouses and their order for the essential oils is delayed one week. I am unwilling to buy the oils from a different supplier as my blend is tuned for the one I am currently using. (06-08-2018, 03:36 PM)Nrahuf Wrote: Any eu supplier Andrew? I currently do not have any EU suppliers, but am now set up for world wide shipping.